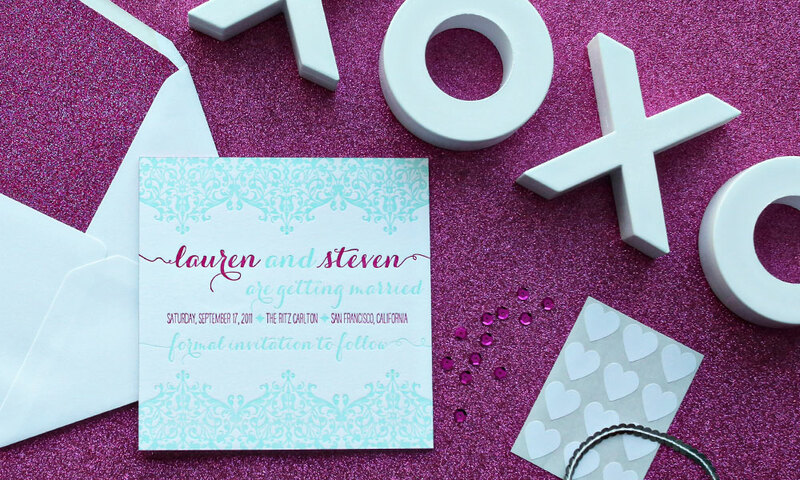 Lauren and Steven love to be playful and have fun together. 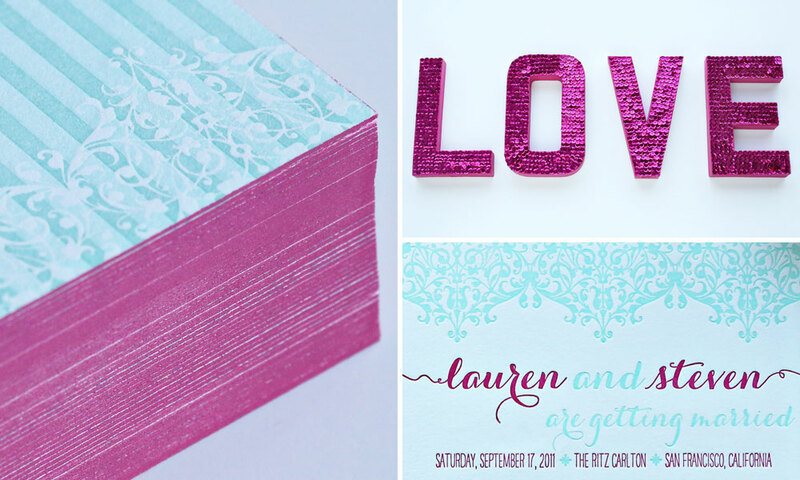 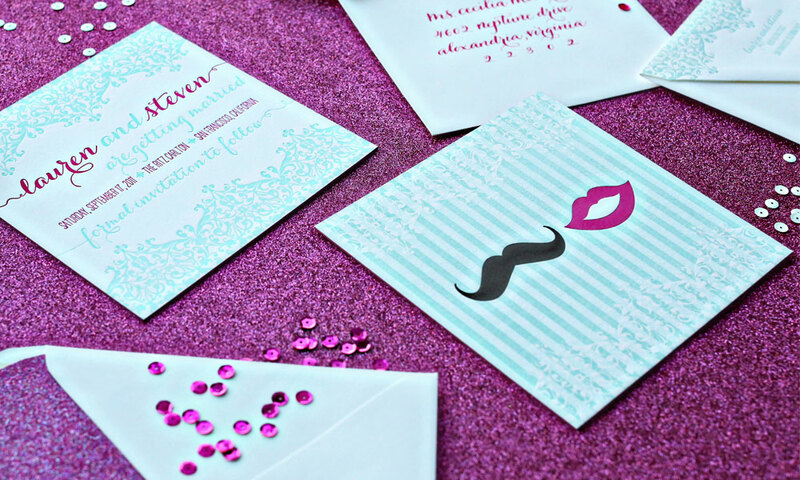 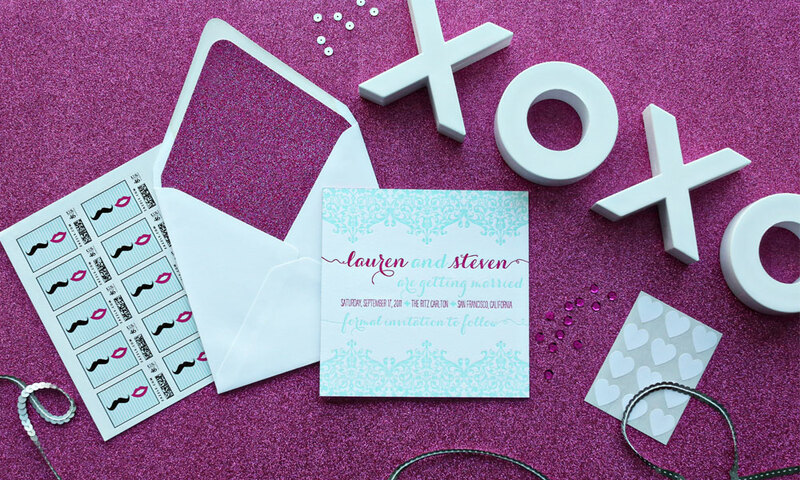 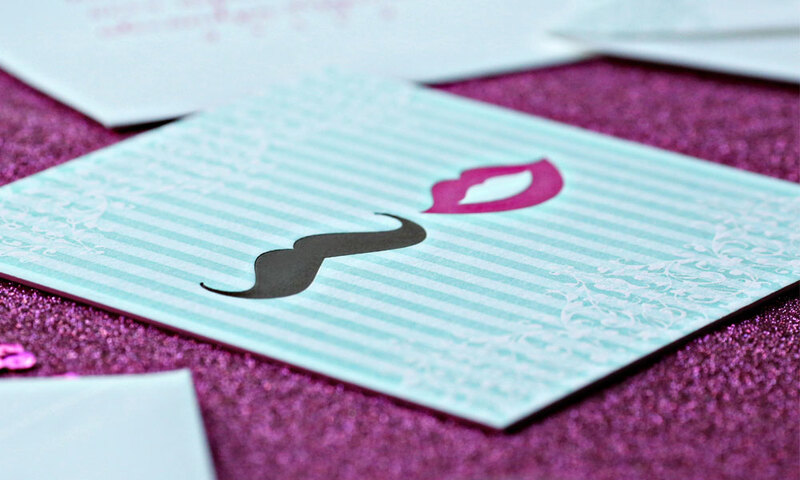 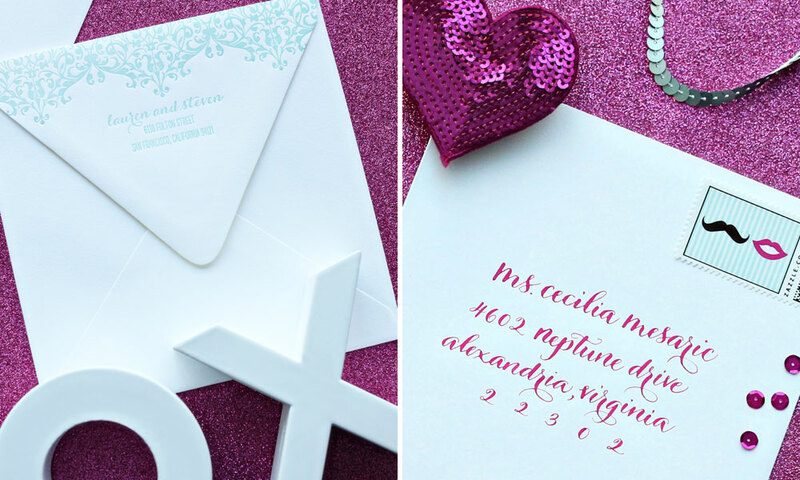 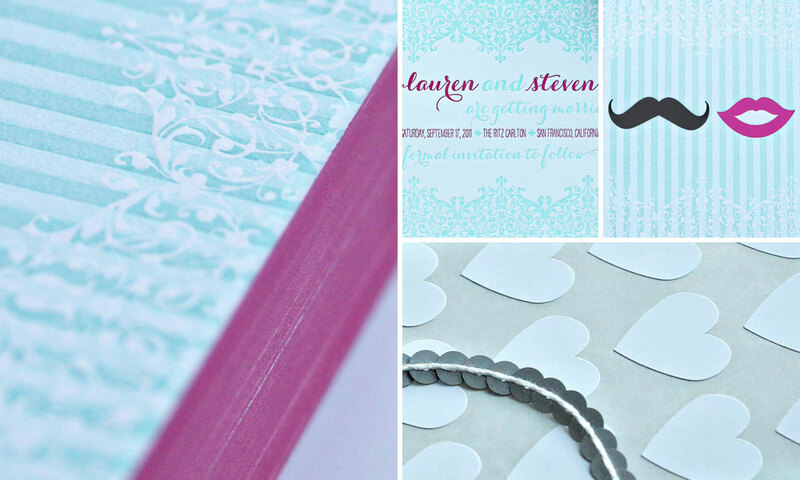 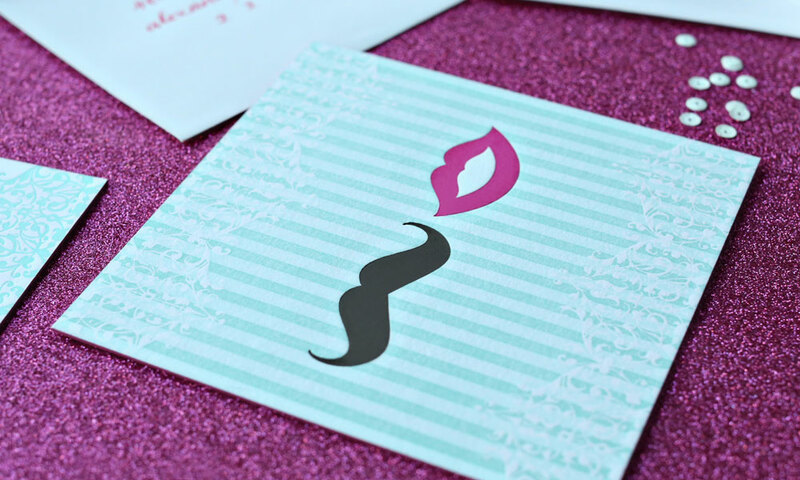 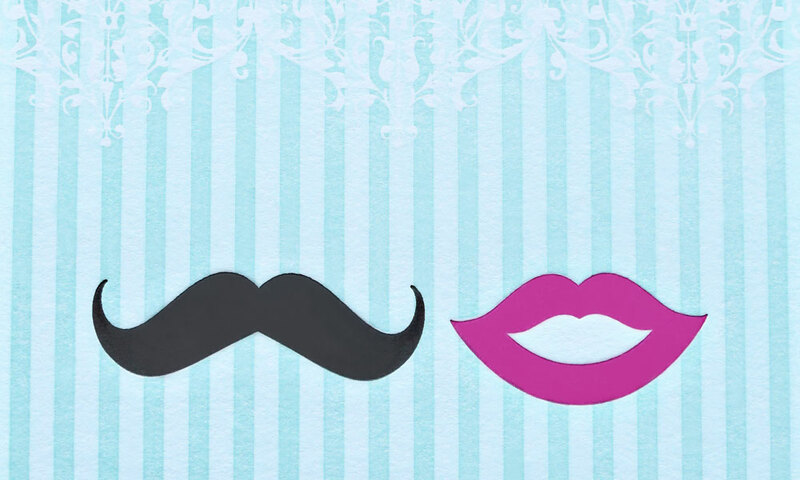 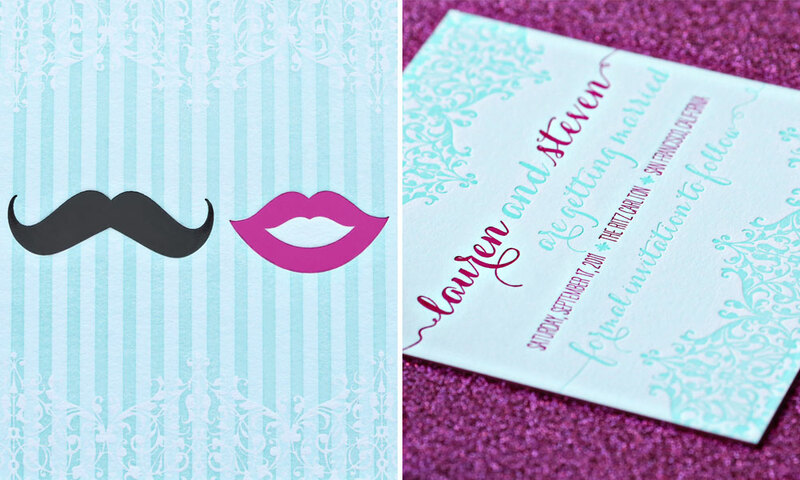 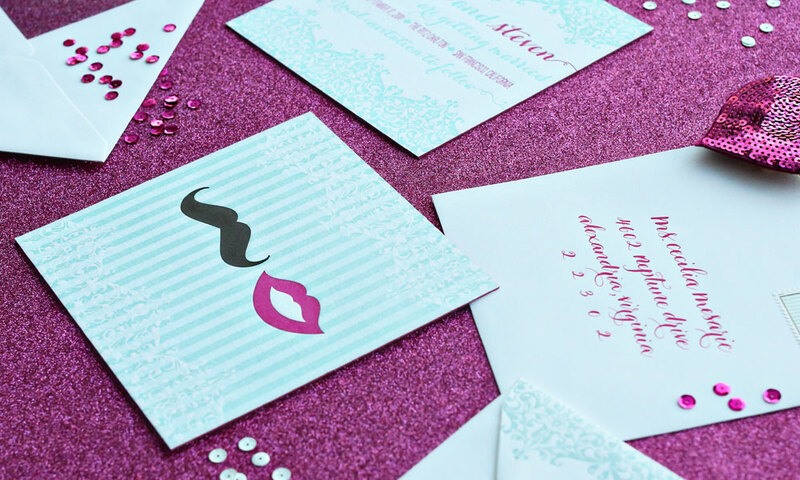 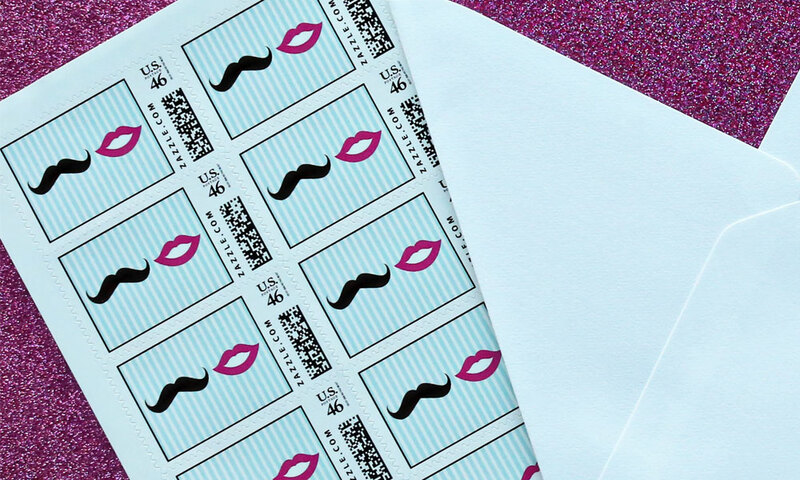 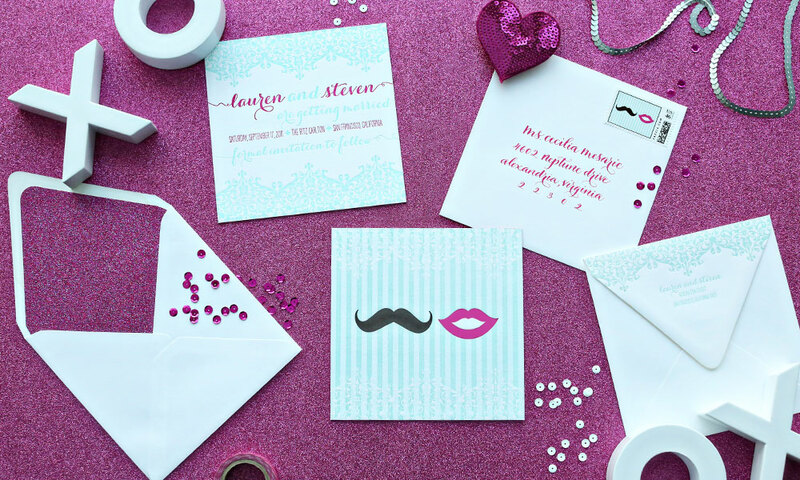 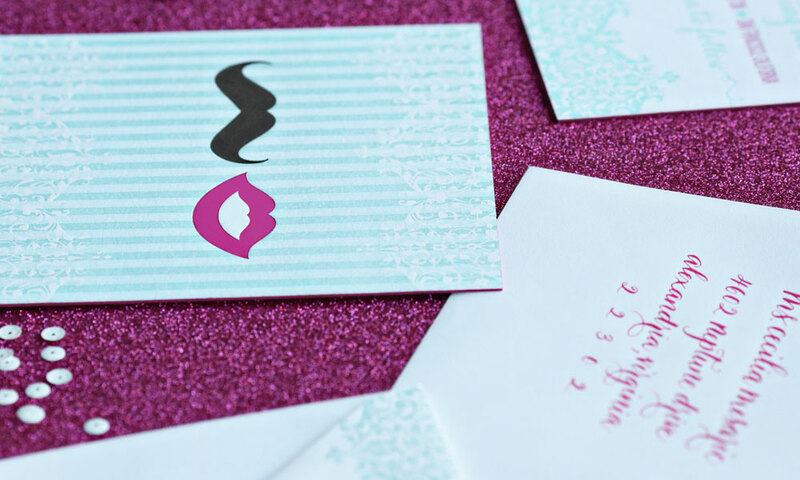 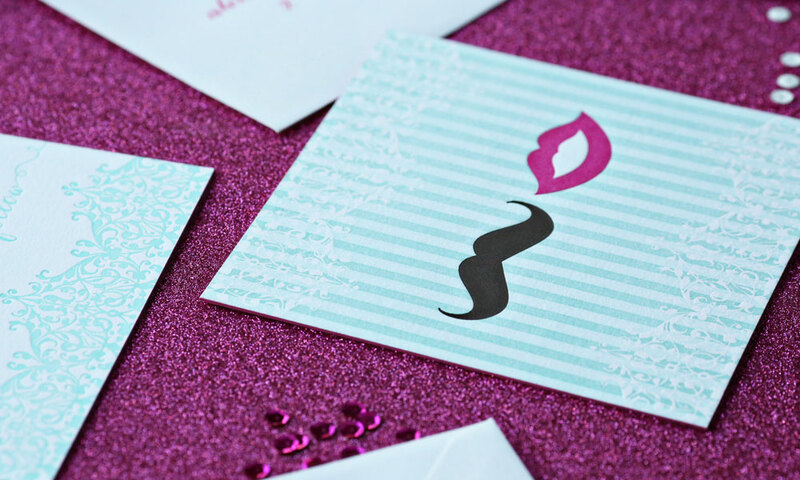 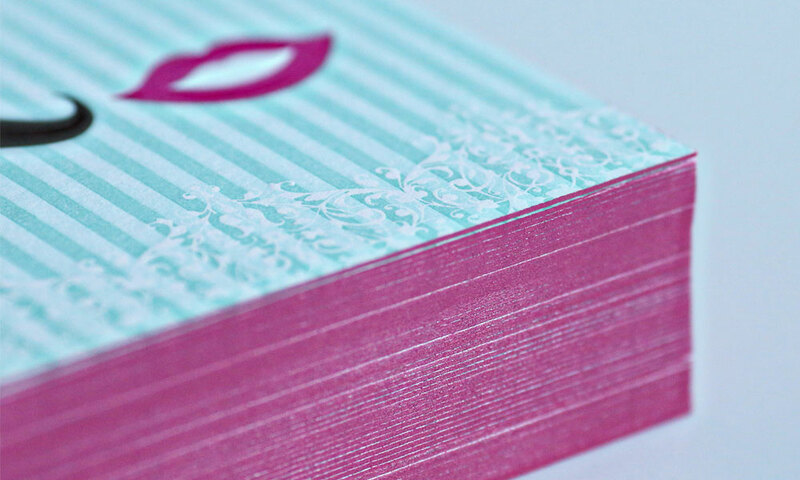 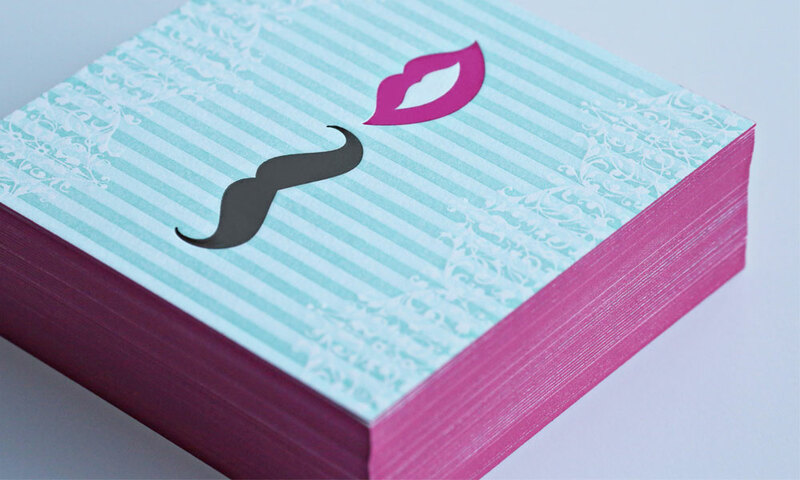 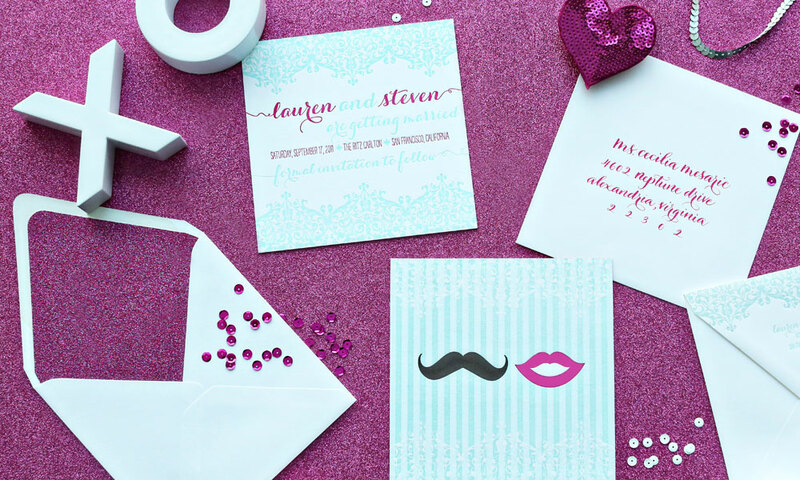 This couple announced their wedding date with a four-color letterpress design featuring hot pink lips and a mustache! 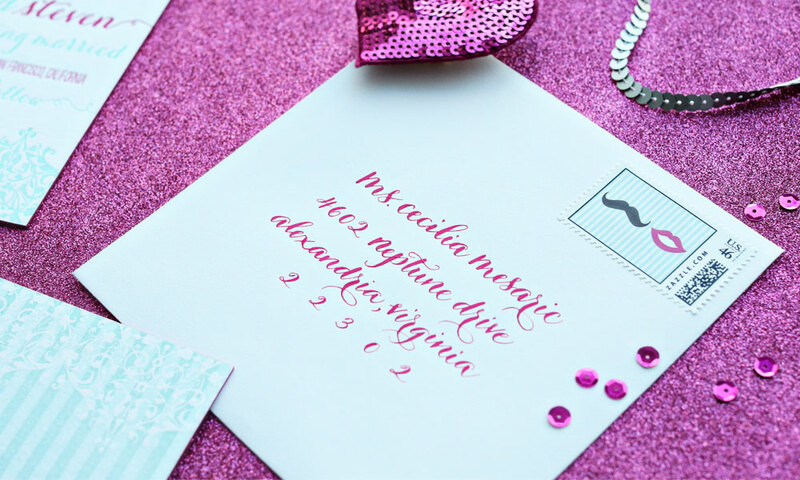 Antique decorative illustrations and beautiful typography give a touch of whimsy, while the deep-pink edge painting completes the look. 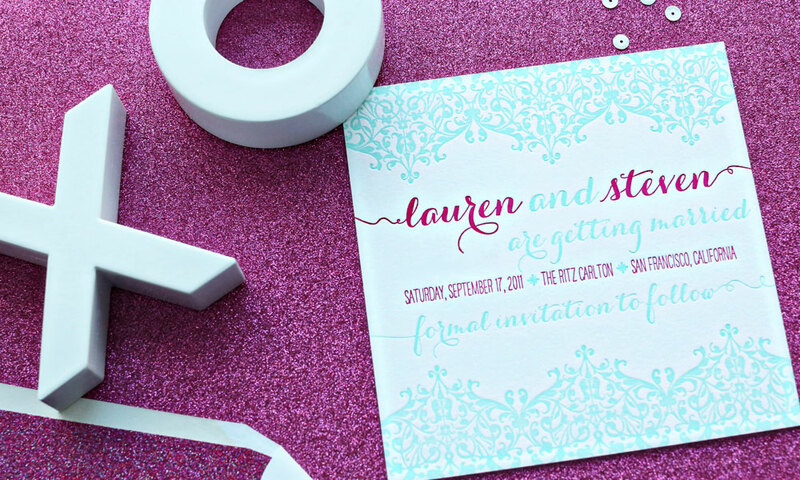 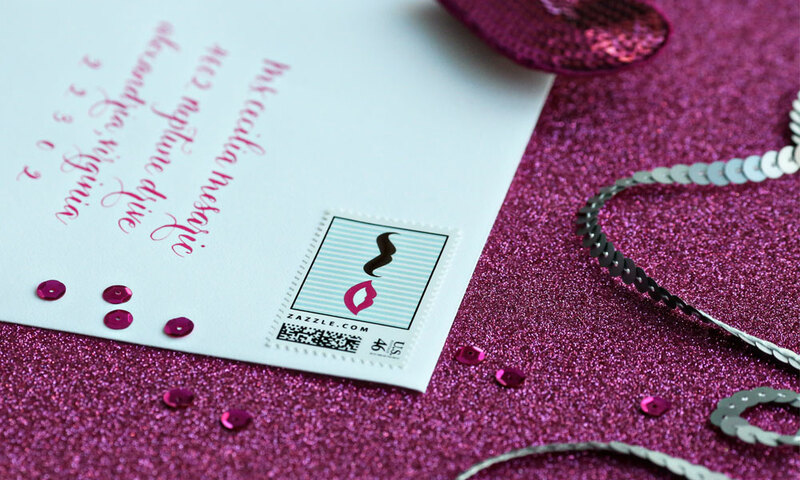 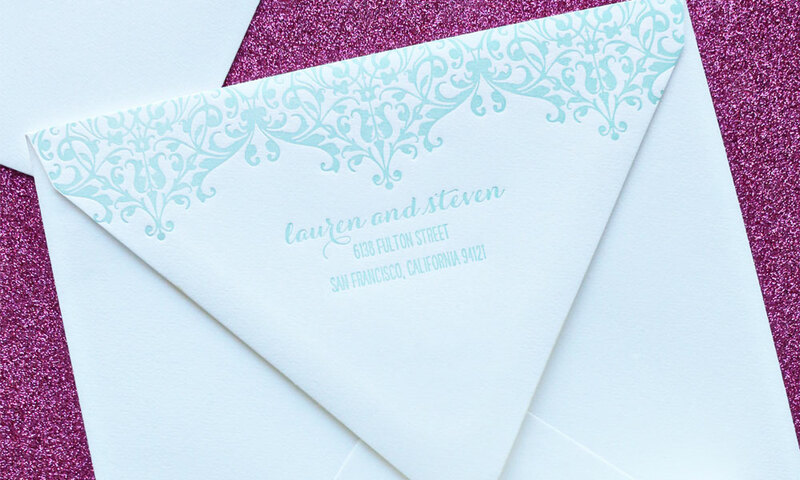 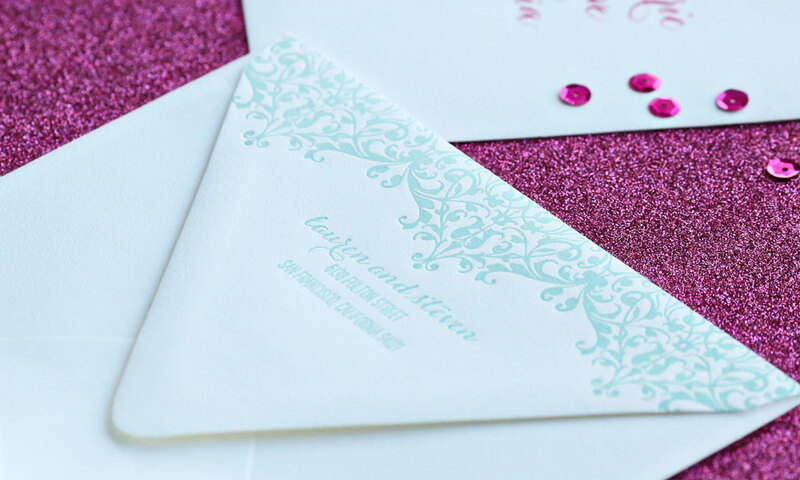 The antique decorative illustration and return address is letterpressed onto a white cotton square envelope with a sparkly pink glitter liner. 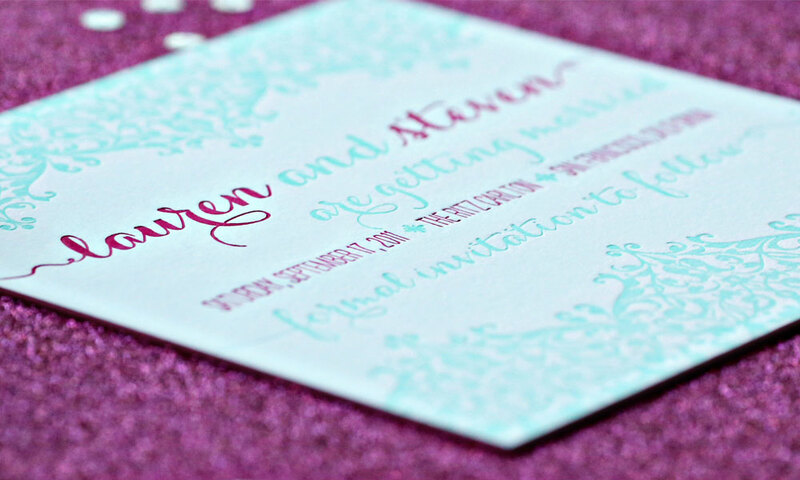 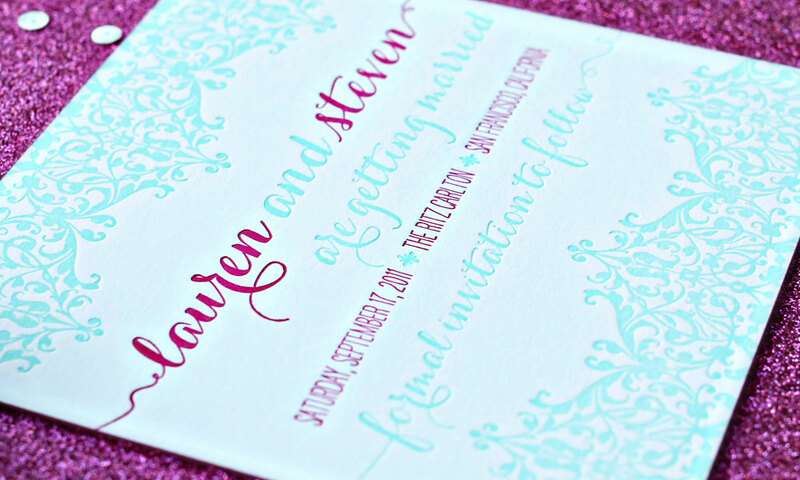 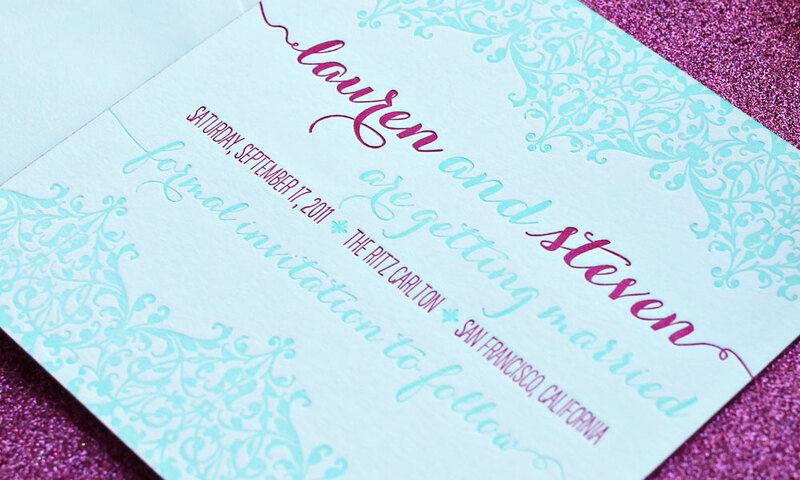 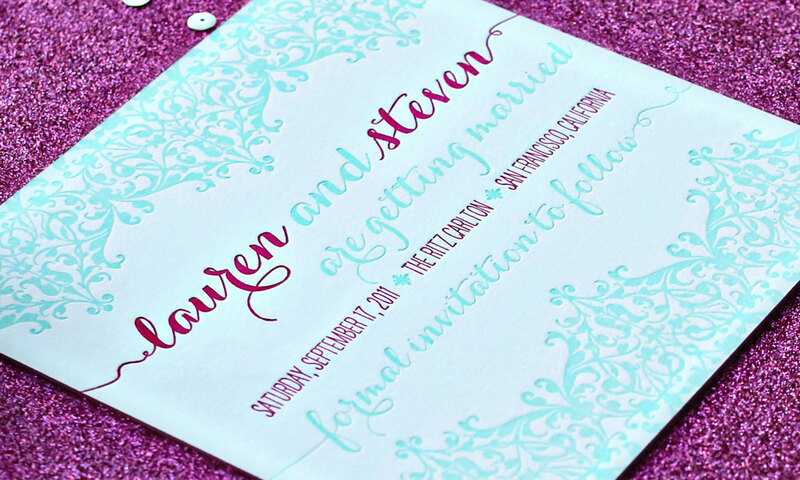 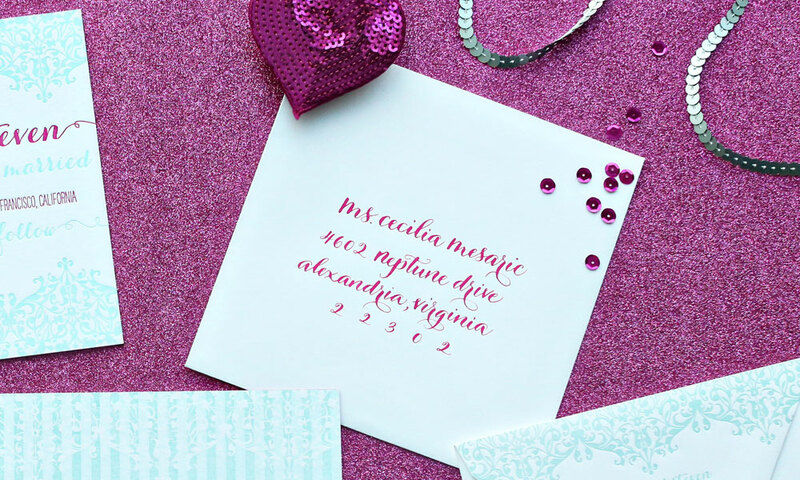 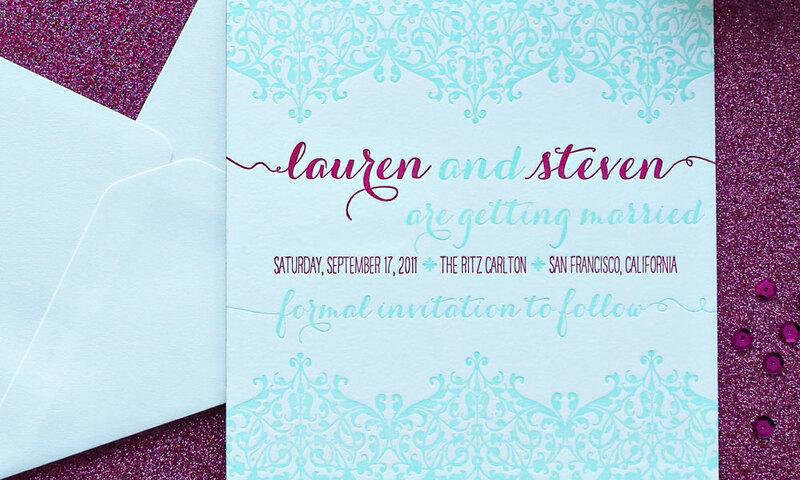 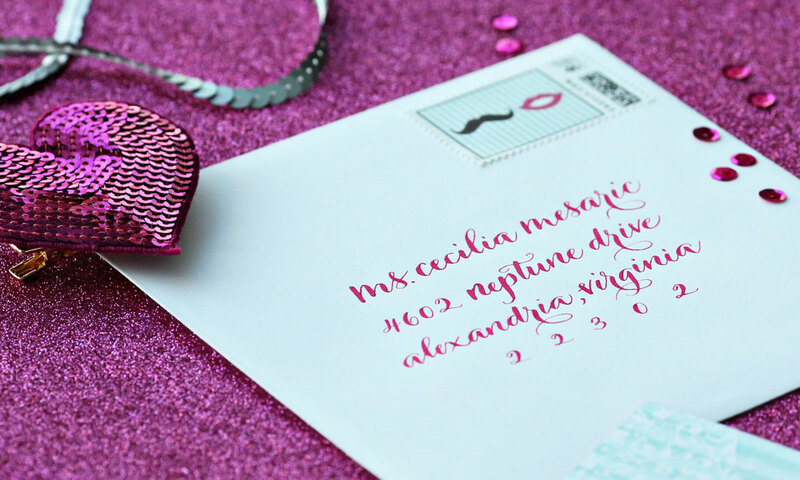 Matching pink, handwritten calligraphy complements the envelope and save the date design along with a custom stamp. 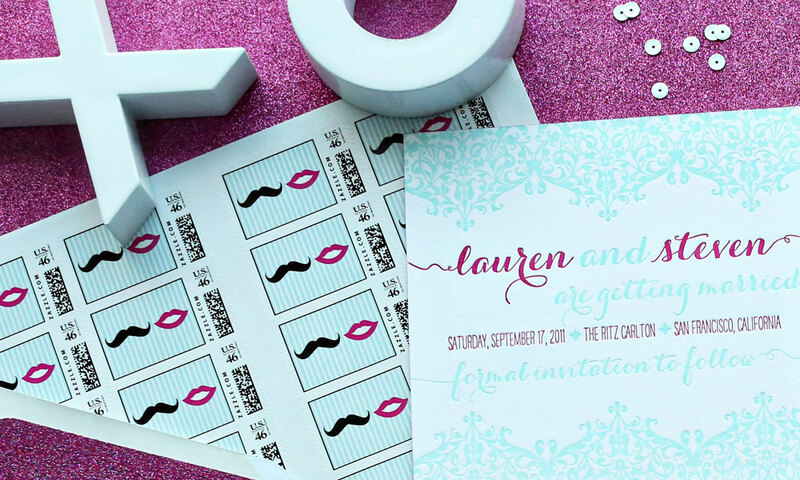 What a fun way to celebrate your love!